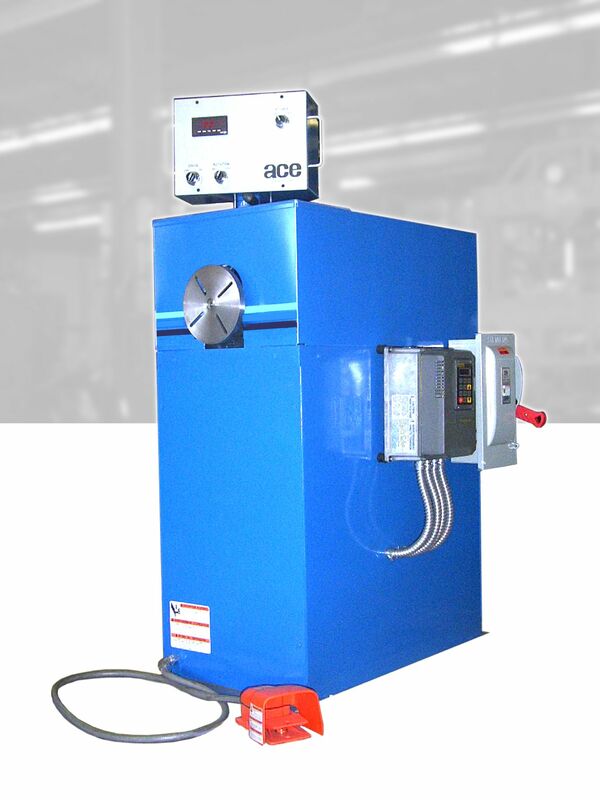 Armature Coil provides a range of light – medium coil winding machines. These machines use a permanent magnet DC (PMDC) motor to drive a gear reducer. This ensures that the machine provides constant torque. These machines allow the user to set the number of turns he would like the machine to make. The machine will stop at the desired number. This helps increase accuracy and reduces human error. The 70 series of light-medium coil winding machines can be configured with other ACE machines for seamless coil winding and tension maintenance functions. Please mention power requirements and model number when placing an order. The automatic stop feature can be used for precise coil winding. The turn counter is bi-directional in nature, meaning, it counts turns when they are being added or subtracted. The turn counter displays not just the number of turns completed but also the tachometer reading. The counter can count turns from 1 to 999,999. Once it reaches its limit, it can easily be reset. Depending on the load and speed of the application, the stopping position can be adjusted. For precise speed control, each machine is equipped with a foot pedal. This pedal offers easy acceleration and deceleration. The foot operation leaves the hands free for the user to operate the equipment conveniently. The machine features smooth start and stop functionalities. The acceleration and deceleration functions take place in a controlled manner keeping the machine from experiencing sudden jerks. If the machine accelerates suddenly, the wire could stretch unnaturally or break due to the sudden shock load. The machine can be operated at a specific speed range with the rated torque. Complete speed control is with the user alone. This allows safe operation. The 70 series coil winders can be used in conjunction with outboard support machines. For example, when used with ACE Model 65 or 66 Tailstock, these machines can be loaded with up to 240 lbs. The double reduction gear provides constant torque. The diameter of the faceplate measures 8″. Four slots are created in the faceplate in a way that it can accommodate winding forms and fixtures of all shapes and sizes. The swing ranges from the center of the faceplate to 39-3/4″. The input shaft is mounted with a durable electromagnetic spring-set disc brake, which provides precise positive stopping. The anti-friction rollers bearing pillar blocks used to mount drive shafts are built accurately and provide self-aligning features. These machines are integrated with double reduction precision ground gears that provide constant torque. The speed and torque specifications of the machine can be modified by the user depending on the requirements of the application. The rugged enclosure is fabricated using formed heavy gauge metal. This compact space contains all the electrical and mechanical components. It provides easy access for quick maintenance and repair.